Stan Lee originally wanted the Hulk to be grey, but because of ink problems back in that era, they had to go with a green Hulk. 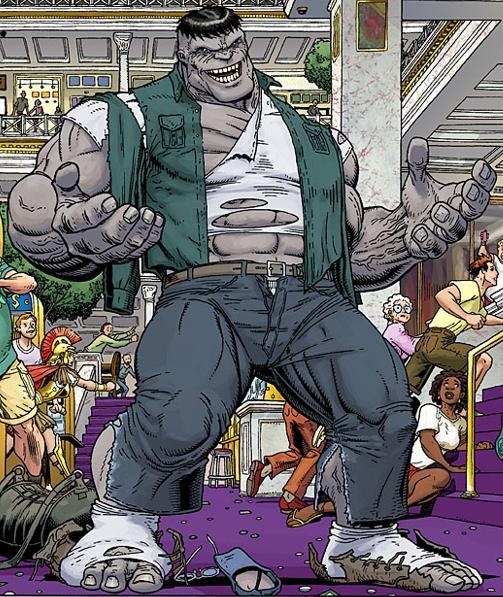 As printing matured, they eventually brought back the idea of the Grey Hulk and gave him the alias Joe Fixit, which existed as a separate identity that Bruce Banner could also change into. Since the Grey Hulk maintains some level of intelligence, he's typically portrayed as not being as strong as the Green Hulk (or "Savage Hulk") who can easily lose control and increase his strength with more rage. HSW must be done in increments of 1 full stall mat (6'). Time cap of 15 minutes. Post time.